Caro's 'Passage Of Power': LBJ's Political Genius Robert Caro's fourth book on the life of Lyndon B. Johnson documents the master statesman's most tumultuous years — from his dismal vice presidency to his ascent to the presidency and triumphant shepherding of the 1964 Civil Rights Act through Congress. 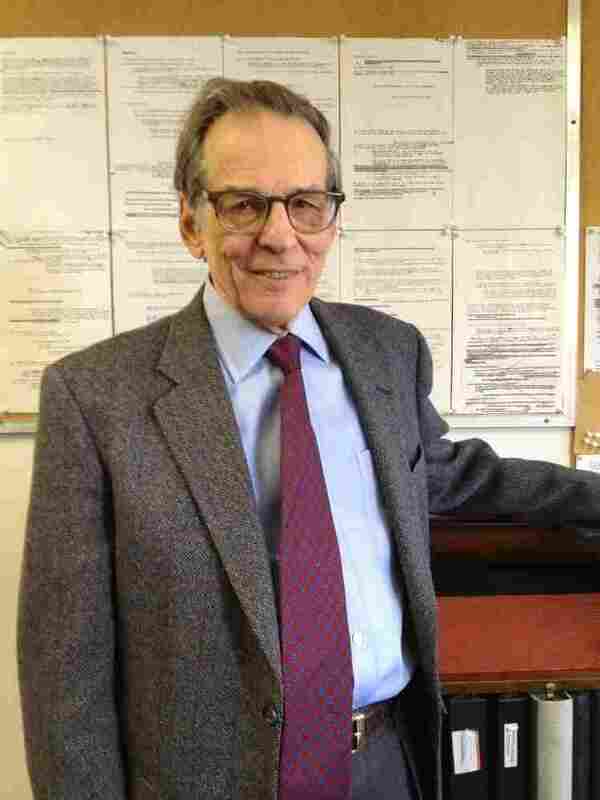 Robert Caro writes obsessively about power. Fittingly, it's Lyndon Johnson — catapulted suddenly into the presidency "in the crack of a gunshot" — who consumes him. 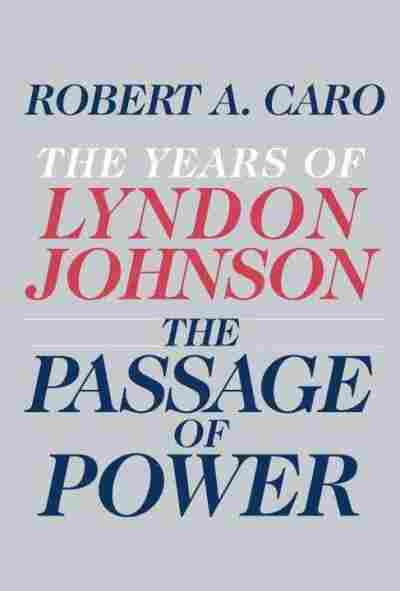 The Passage of Power, the fourth volume of Caro's massive biography of Lyndon Johnson, is released this week. Caro has dedicated decades to meticulously researching Johnson's life, and the previous books in the series have been almost universally hailed as a significant achievement in American letters. Those books told the story of Johnson's rise to national prominence. 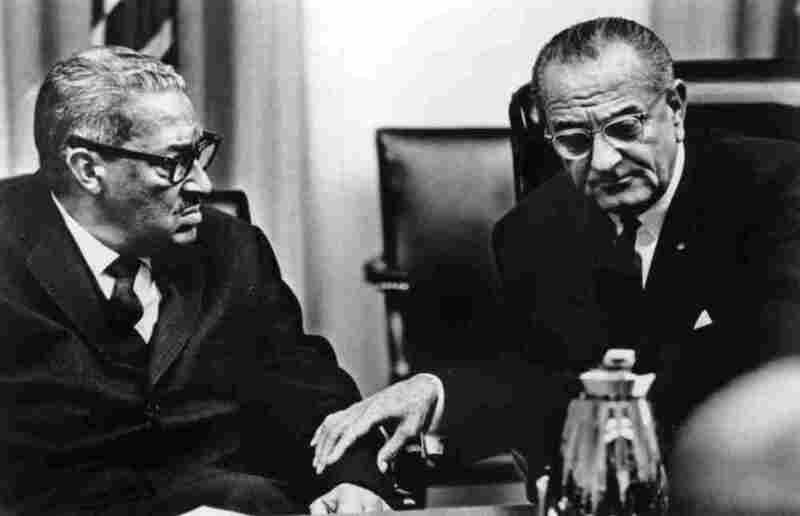 In The Passage of Power, Caro takes up Johnson's dismal years as vice president and his sudden presidency, which he used to shepherd the 1964 Civil Rights Act through Congress. Morning Edition host Steve Inskeep talks to Caro about the book and his portrayal of the brilliant, sometimes ruthless president. Lyndon B. Johnson takes the oath of office as president of the United States after the assassination of President John F. Kennedy, Nov. 22, 1963. "His situation when he was vice president was terrible. Because here is this guy who lives for power. He has the will to decide, the will to act. All his life, he's been in charge. Suddenly, he's not only not in charge, but he's held in absolute contempt by the Kennedy people. And in this book, you know, you see him just before Dallas, he's telling staff members who want to have a career, 'Go. I'm finished.' 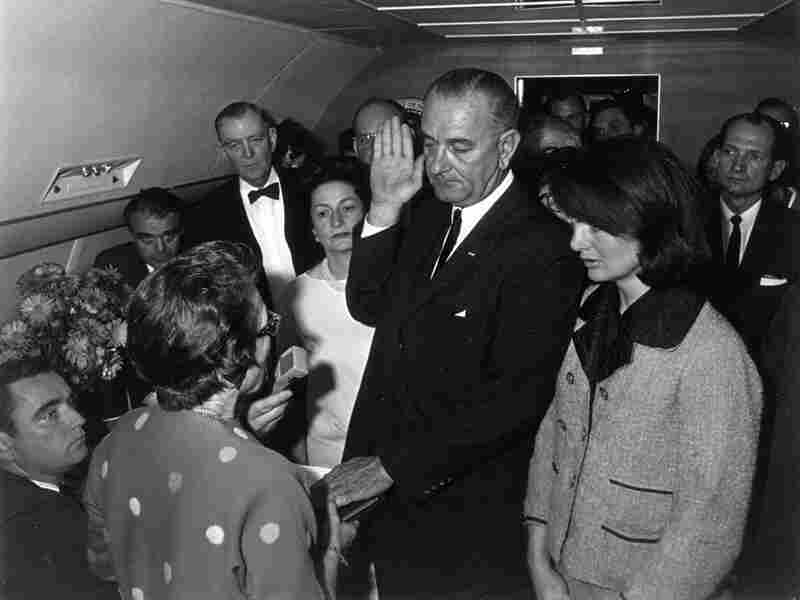 ... Kennedy didn't want Lyndon Johnson to have any power." "In the crack of a gunshot, it is reversed — he has all the power. And you see it on the very plane ride — you know, in the Johnson library, there's a notepad that says 'Aboard Air Force One.' He starts writing a list of the things that he has to do right away. Behind the writing of this list is not only a lifetime's experience in government, but the genius to know what he wants to do with government. And to see him pick up, as you do in this book, the reins of presidential power, to get bills moving that had been completely stalled, you say, 'This is political genius in action.' "
"He's looking at this like a great general, and he sees what the Southern strategy is: As long as a civil rights bill is on the floor and they're filibustering it, nothing else can be brought up. No one's going to get anything. So liberal senators may say, 'We're going to keep this bill on the floor until hell freezes over,' but when they realize that all these other bills aren't going to pass, the only way to get the Senate moving again is to either withdraw the civil rights bill and admit defeat, suddenly it will be put off to the next Congress, where it will have to start all over again. ... 'Hostage' is the word that Johnson used. He says, 'I'm not giving them any hostages.' He says, 'I'm not putting any other bills on the floor until Civil Rights is passed.' He says to the Southerners , 'You can filibuster all year. This is the only thing the Senate is taking up.' And that right there, it takes all these weapons out of the Southern hand. I mean, it's just heroic. This is the summer of Birmingham. This is the police dogs and the fire hoses. People are fighting on the streets, and they're creating this mood in America to pass a civil rights bill with their heroism on the street. But the fact is, this happened before, and the Southerners have always defeated it." "Everyone says that Johnson talks all the time. But when he wants to, he's listening. I'm thinking of one call — I think it's the night after the assassination. He calls George Smathers, who's a very pragmatic senator, and Johnson has always used him to find out what's really going on. ... Smathers is talking, and every few minutes Johnson says 'Uh huh,' you know, just to keep him talking, until he gets from Smathers the information that he wants. And time and again, you hear him listening for the words — what does this guy really want? I mean, it's almost palpable. You can hear what he's doing. And, of course, when Johnson finds out what a guy really wants, he will work to give it to him. Or he can be very, very tough." "In my earlier books, you see a man looking for power and utterly ruthless in his attempts to get it. In the last two books, you see what he does when he gets power, and it's sort of wonderful. So, it's not a like or a dislike — you're in awe. If you're interested in political power, which is what I am interested in, you are in awe of him. What you get from listening, you know, you say, 'Oh, my God, that's what he's doing.' "